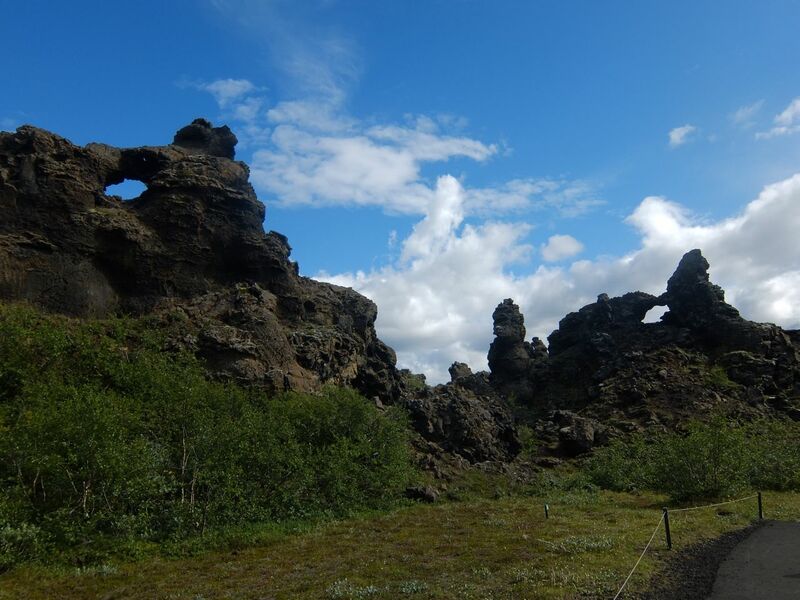 Dimmuborgir (“dark cities” or “dark forts”) is a large area of unusually shaped lava fields east of Myvatn in Iceland. 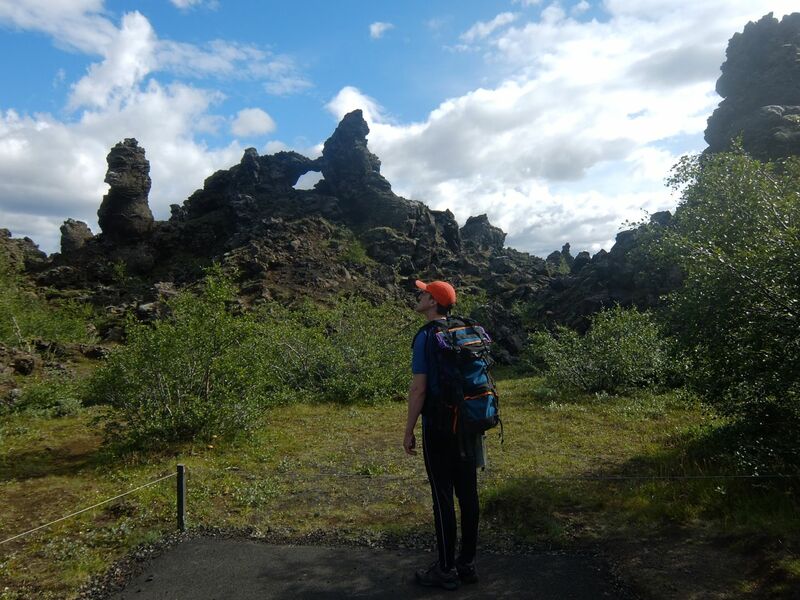 The Dimmuborgir area is composed of numerous caves and rock formations, remnants of volcanic activity that are perhaps reminiscent of an ancient collapsed citadel, with columns spewing plumes of sulfuric smoke. 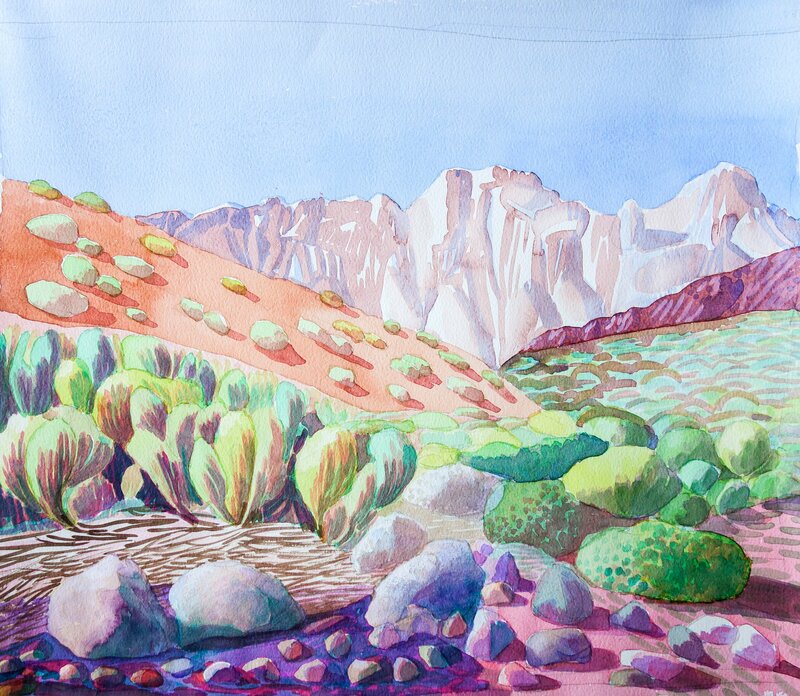 These rock formations are unique. The only other similar land mass known to exist being beneath the sea, off the coast of Mexico. 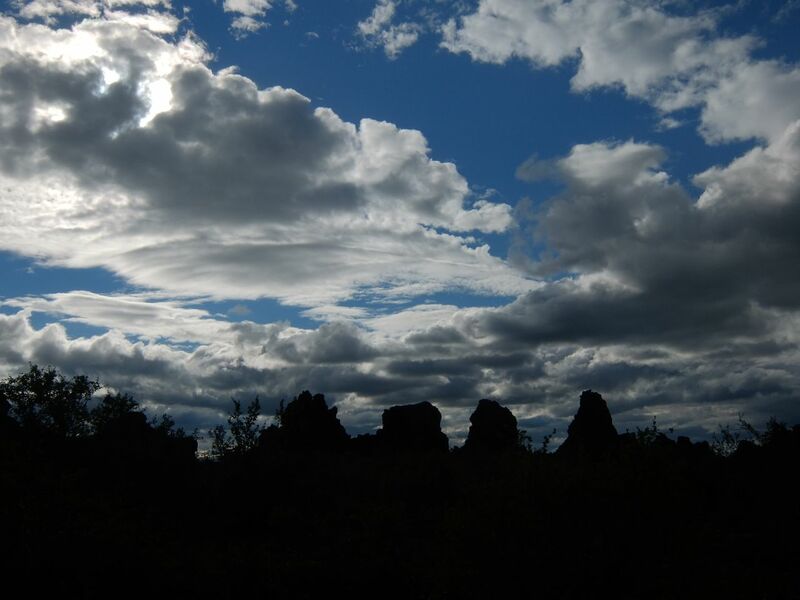 They are thought to be the remains of a lava reservoir which formed above a lake. As it began to cool, the reservoir was released, leaving only the bizarrely shaped remnants you see today. A pool of lava, about 2 kilometers in diameter, formed there during an eruption in “Ludentarborgir”. This pool later drained in the direction of lake Myvatn, leaving behind high pillars of lava. It is believed that these pillars were formed in the pool when steam rose through the molten lava and cooled it. 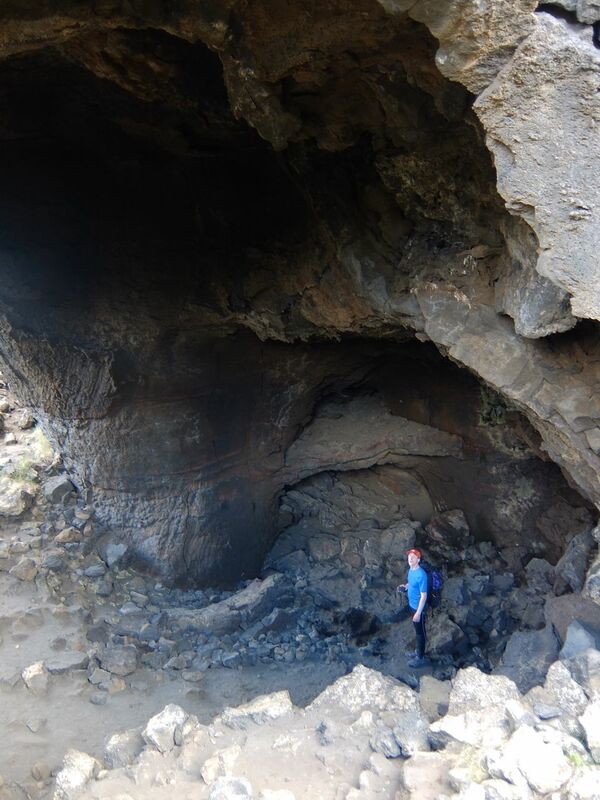 The sinking surface also coated the pillars with lava slag, which can be seen in many places as a thin coating with vertical etchings. 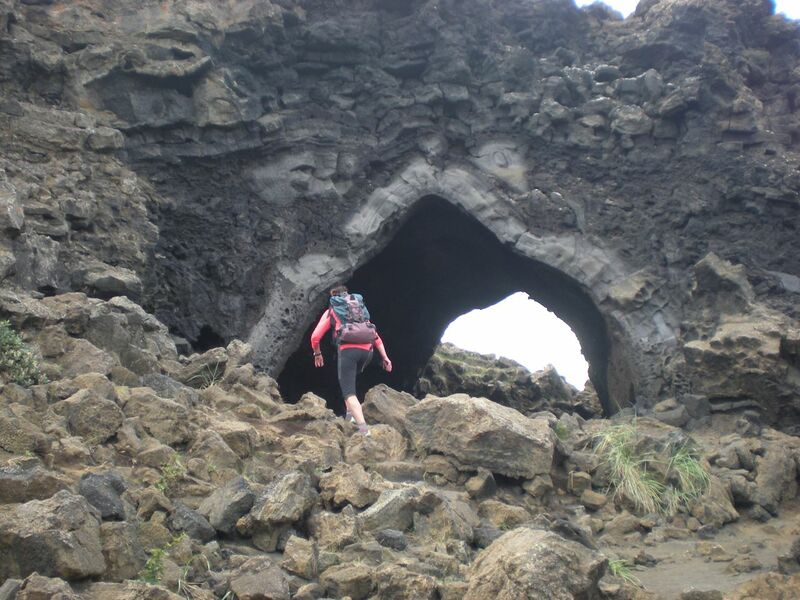 This entry was posted in ICELAND and tagged camping, Dimmuborgir, formations, iceland, lava, myvatn, travel, volcano. Bookmark the permalink.